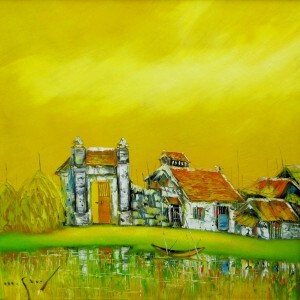 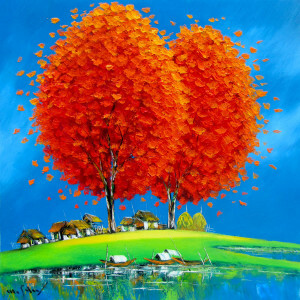 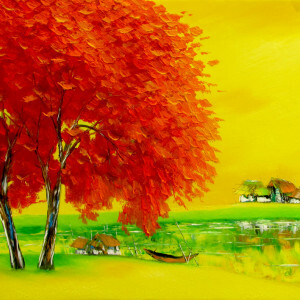 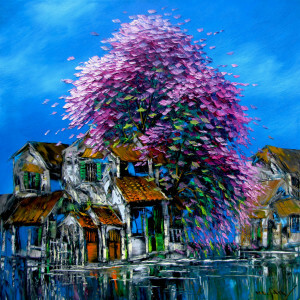 Trees occupy central positions in Minh Son’s landscape paintings. 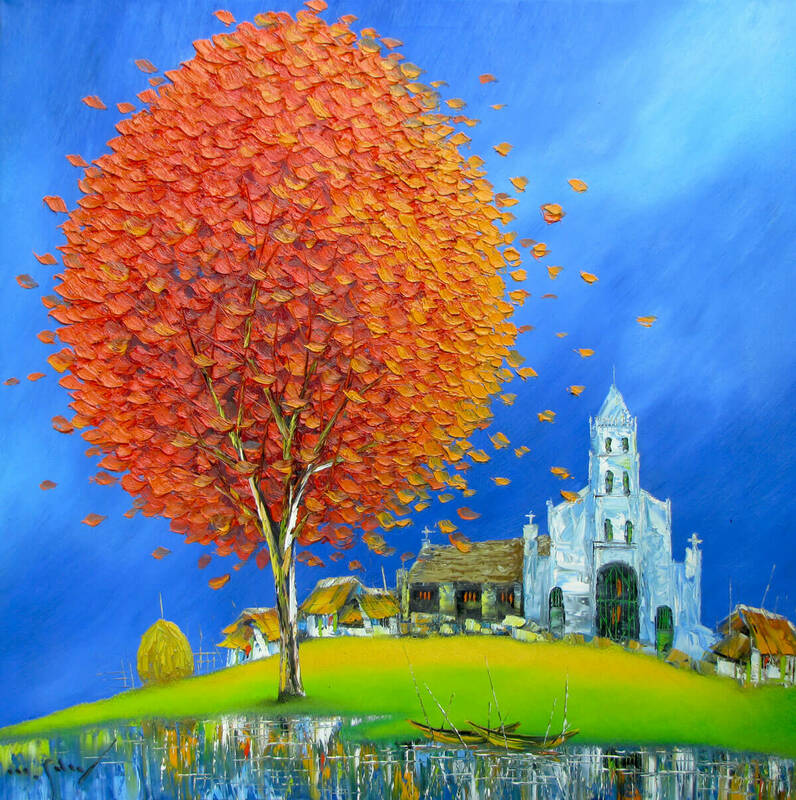 This one has a vivid tree in the foreground on the banks of a tranquil stream with a view of a modest church along with other settlements in the rear of the composition. 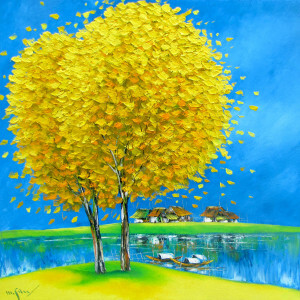 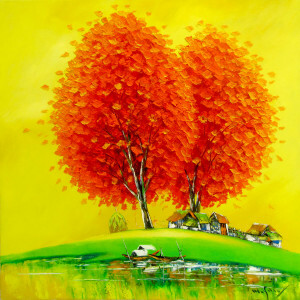 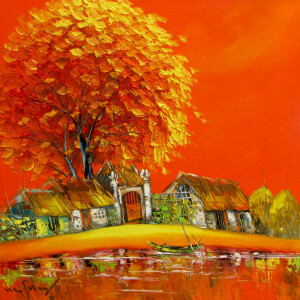 The perfect balance and harmony in Asian artist Minh Son’s compositions is a source of their aesthetic appeal.